I keep hoping that it is due to this new Back to School schedule or the cold I came down with last week, but then a friend (Hi Amanda!) reminded me that, ummm, this is pretty textbook for my pregnancies in the days/weeks leading up to labor and delivery. I remember this with Keaton. Although he was due to arrive January 25th we opted out of traveling for Christmas that year and I spent the entire weekend camped out in our big soft comfy chair. He was born 5 days later. 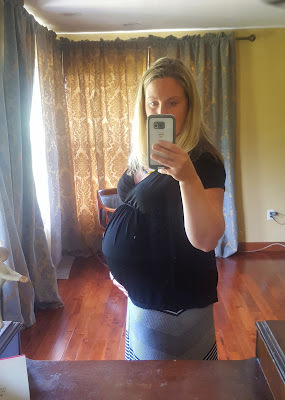 In the last few posts with Hutt I mentioned taking a nap instead of blogging and, as Amanda reminded me (and I had totally forgotten) following a Baby Shower for Nolan I complained about being utterly wiped out, exhausted. Within a week I was admitted to the hospital in pre-term labor. They were able to stop that and I held out another two weeks, but still, exhaustion seems to be a recurring theme. While I am still hoping to hold out a couple more weeks (I have some work stuff that I have to get done) it really just dawned on me the other day how close we are getting, as the past two weeks I have shown further progression. As of 30 weeks I was 80% effaced and 1.5 cm dilated. This is after being dilated to 1 cm since week 27. 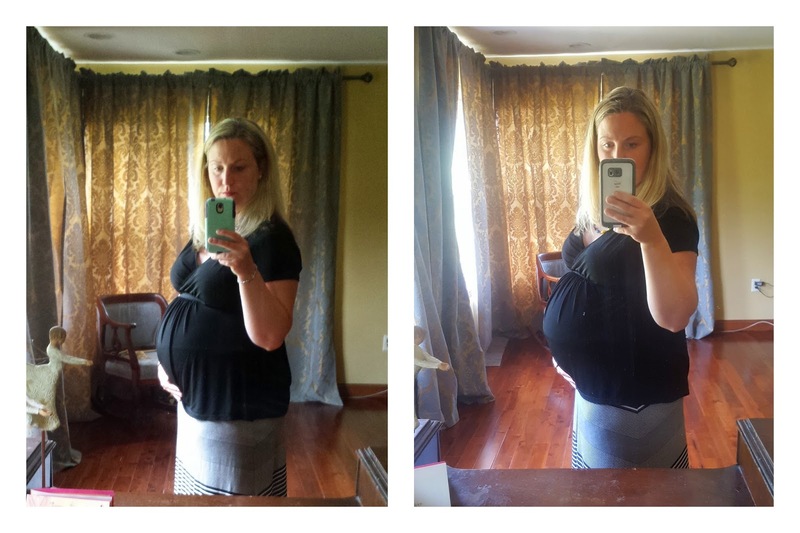 As of yesterday (basically 31 weeks) I am now 100% effaced (and funneling) and 2 cm dilated. Contractions are starting to get fairly strong at times but have not really been timeable yet. When I do start timing them, they seem to stop. - The acid reflux has been pretty bad again. Two weekends ago I was jolted out of bed during a nap to run to the bathroom and throw up. Oddly enough, something similar happened 10 or 11 days before Hutton was born. - Baby Stella is looking really good. Although it's pretty impossible to get a good look at her face in the ultrasounds these days because she is sitting so low, she took lots and lots of respirations for us yesterday. She's moving around a lot and her heart/organs look good. - Oh! She's still a girl! It had been several weeks since I asked him to check again but last week he did for me and we got a great shot that confirmed again that she is a she. - And she has big chubby cheeks. - I will admit I'm dreading actual labor, it hurts so baaaad! But I am looking forward to seeing those cheeks. - After I took this 30 week picture I remembered that I had taken a belly shot in this same outfit earlier, so for fun here is a 24 vs 30 week comparison shot. I feel like we should play name 10 things that are different in these pictures, ha! Yes, good memory, Amanda! That exhaustion before you go into labor is part of why I was so worried about you last week. I know it was mostly cold-related, but I was kind of scared it would trigger things to happen that much more quickly. Anyway, I'm glad that Miss Stella is looking so good (chubby cheeks! lots of respirations!). Also...YES! Get that bag packed, Missy! ;) (I hope you still have a couple of weeks left, though.) Sending lots of love and hugs your way. Oh, and I'm glad to hear you're napping! Sorry to remind you of all those things but it was like Groundhog Day with the Kono babies!!! I pray Stella stays put for a bit longer but you know September is a pretty awesome birth month :) Love you!